What’s going on? Part 2. Have you read Part 1? Good. Now for more exciting DAVAA updates from April, May and June. It’s all been happening, it’s a struggle to keep up..
DAVAA exhibited at VisitScotland’s annual trade expo; where buyers from around the globe descend on the Glasgow on the 11th and 12th of April to look at opportunities and products to sell to their customers coming to Scotland. Over the two days representatives from our membership took turns on the stand and did their best to showcase the variety and quality from within our ranks to potential buyers. We were positioned on the ‘Scotland’s Tay Country’ stand. It was the first time that the quasi-regional initiative had exhibited together and we found our pod well positioned next to V&A Dundee. Without a recognised ‘product’ to sell, we focussed on providing information on the diversity within the member accommodation and passing contacts along to the buyers. On the 14th of April, Brett Davidge offered his resignation as Chair of the DAVAA committee. Since his departure from Apex City Quay he had taken up a role with Redefine Hotels. This new job resulted in Brett working outwith the area and as he felt he was not able to serve the Association properly from a distance, he stood down. On behalf on the Committee and Association we also wish him well in the future and thanked him for his tenure as firstly, treasurer, and then as Chairman. After some consideration, it was felt best that the Committee needed some time to process the implications of our chair leaving and we postponed the April monthly meeting. 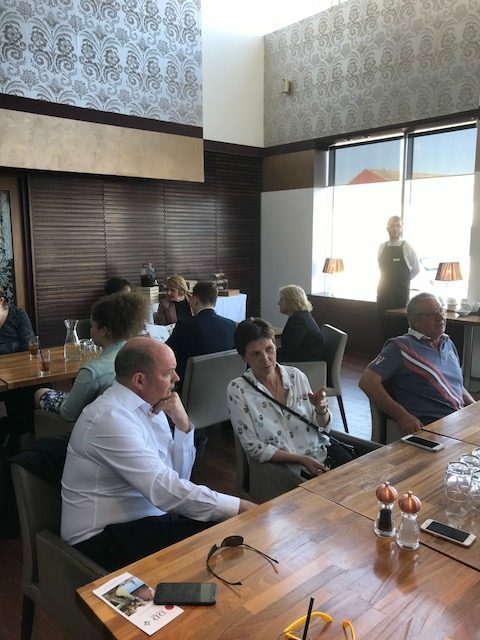 The Committee then met in May to discuss a restructuring on the leadership roles within the group and it was decided that Roula Samaha from Malmaison would take the position of Vice Chair and that we would continue without a chair until later in the year. Roula, as Vice Chair, would assume the responsibility of leadership until then. DAVAA took a table at this years HIT Scotland (Hospitality Industry Trust) Discovery Dinner at the Old Course Hotel in St Andrews on Thursday the 3rd of May. 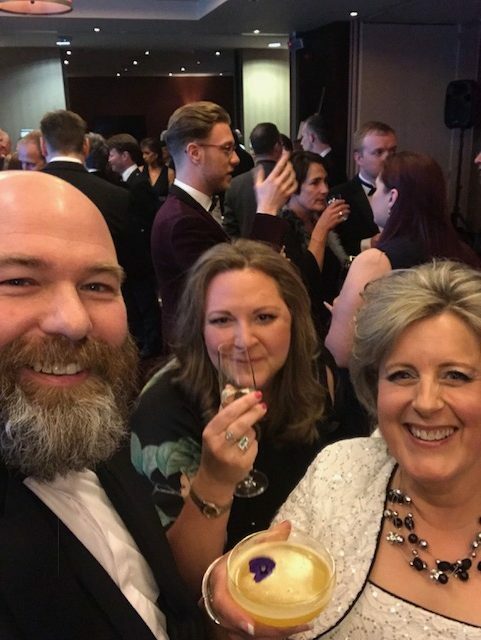 HIT Scotland is a Scottish based charity whose mission is to assist people to reach their potential within Scottish hospitality through bursaries, scholarships, the Emerging Talent conference and other industry initiatives. 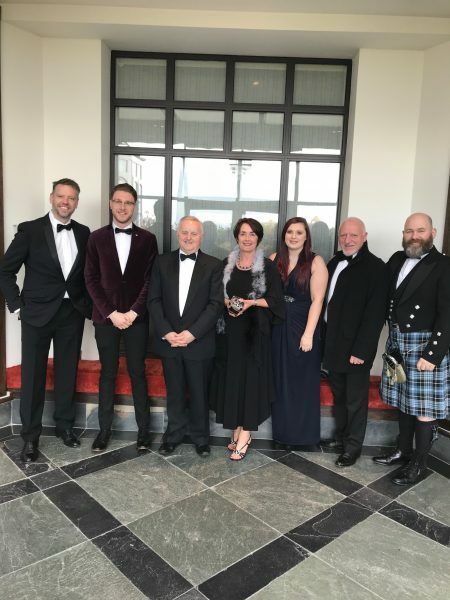 Each year the Discovery Dinner brings the hospitality businesses from Dundee, Angus and Fife together to raise funds for the Trust. 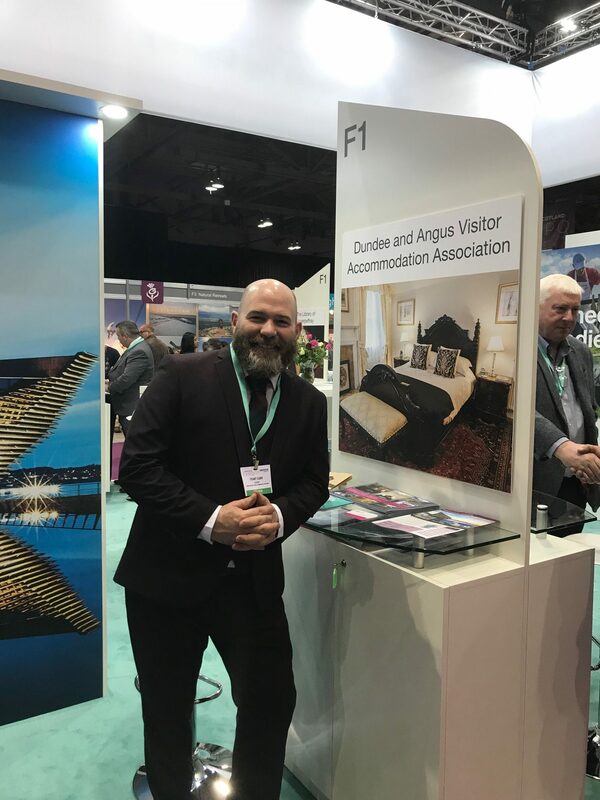 Both Dundee and Angus were very well represented this year and the DAVAA table has representatives from Redwood Leisure, Hampton by Hilton, Westport Serviced Apartments, Sleeperz Hotel, Glenesk Hotel, Carnoustie Golf Hotel, Balmuirfield House B&B, and Forbes of Kingennie. 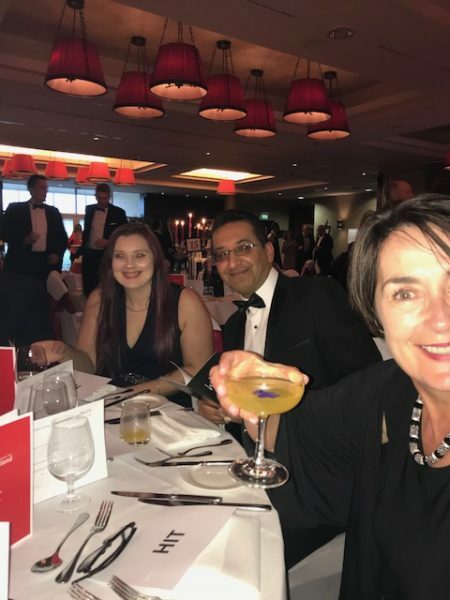 Other DAVAA members; Apex, Malmaison and Doubletree were also present at their own tables. A good night was had by all and over £14k was raised on the night. At the May committee meeting the decision was made to support the ongoing ‘Sunny Dundee’ campaign being delivered by Dundee – One City, Many Discoveries and will see thousands of pairs of #SunnyDundee branded sunglasses given to visitors, locals, and businesses, with an invitation to explore Scotland’s sunniest city and share their photographs using the #SunnyDundee hashtag on social media. DAVAA has agreed to offer financial support and have purchased 1500 sunglasses to distribute to our members so that they can pass on to their guests. 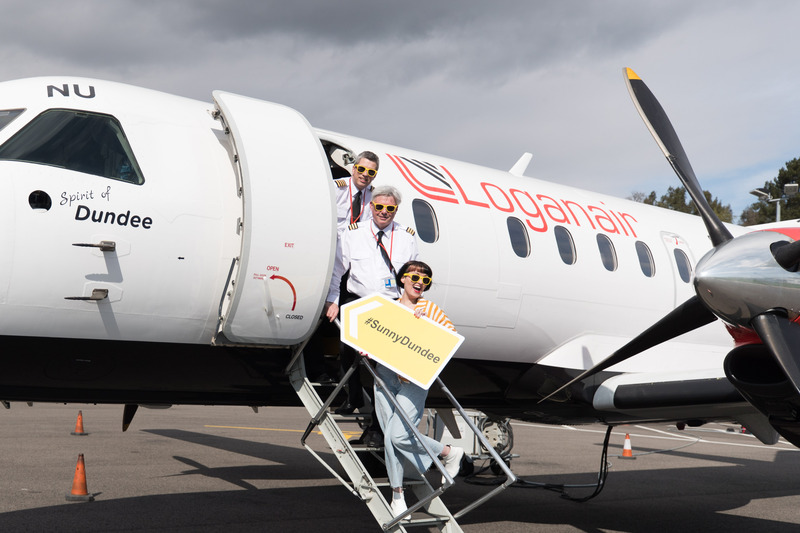 Although the sunglasses are free to collect, the campaign is hoping to support local charity, the cancer care centre Maggie’s Dundee, by asking people to donate £1.00 per pair, in turn could make things a little brighter for those using the centre. Our order has been placed and we should receive delivery within the next week. 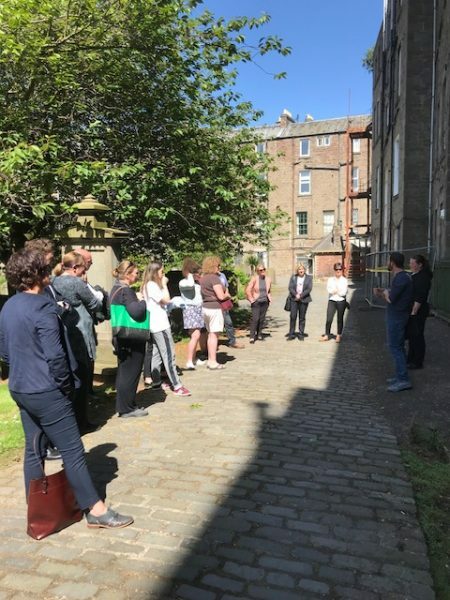 On the 5th of June Dark Dundee took our DAVAA members on a ‘Dead centre’ guided tour. 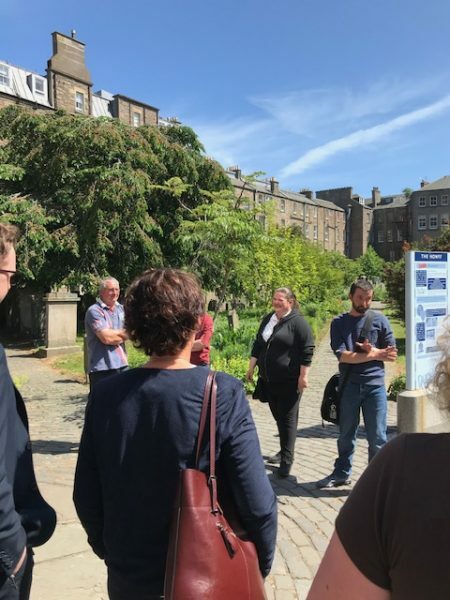 We started at the Meadowside entrance to the iconic and ancient Howff cemetery and it will came as no surprise that death was the topic of conversation on the tour. Disease, execution, illegal activity and ancient relics made up the body of the 1 hour tour, which ended in City Square. These walking tours are a great way for our customers to get a feel for the city. 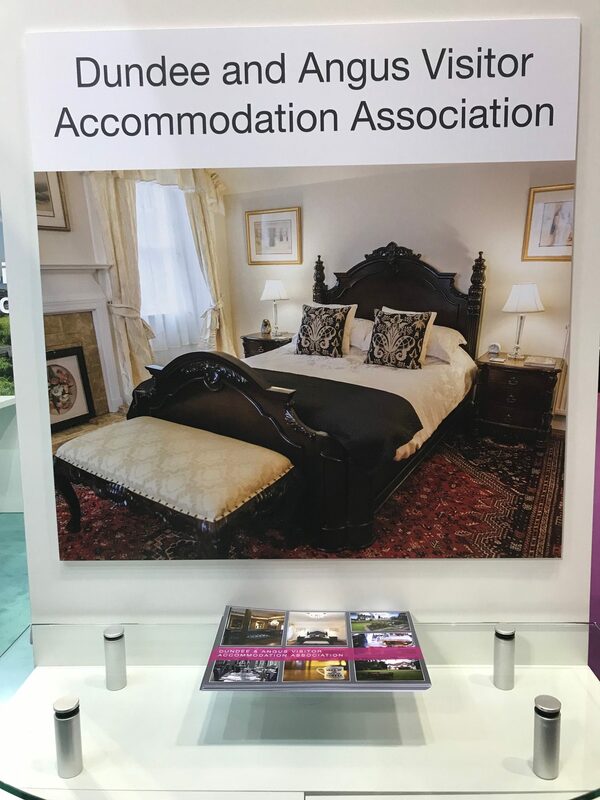 The walk was followed by some refreshments (excellent sausage rolls amongst some other treats) at Apex City Quay Hotel & Spa and then a wee tour of their newly refreshed rooms. By now most of you will be aware that legislation regarding the use of data within our businesses has changed. 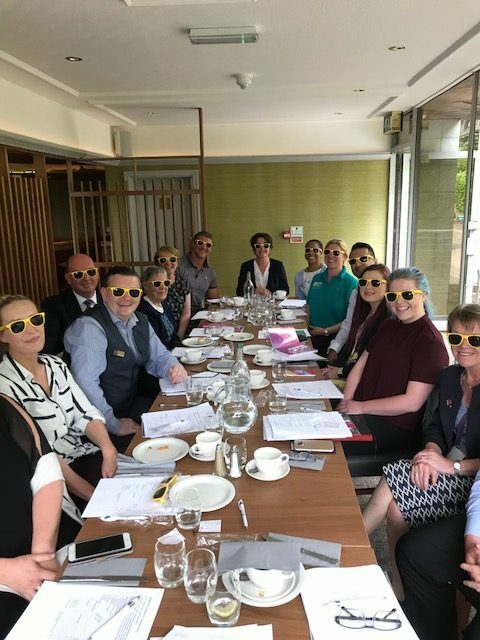 The new GDPR rules came into force on the 28th of May and to help our members negotiate any potential hurdles this may throw up; we organised a valuable and informative workshop for our members. •Who does the GDPR affect? Cate also supplied various checklists that our members could use as a template to ascertain whether they need to address an area of data protection within their business that could lead to future issues. These checklists are available to view and download from our member section. This event was free to our members.